Since our inception, we are instrumental in offering premium quality Pallet Wrapping Machine. Offered wrapping machine is used in many countries for wrapping pallets with pre-stretched cling film. The offered wrapping machine is demanded for rapping pallets in different industries like electrical, automotive, cosmetic, textiles, food & beverage and fertilizer. As well, our offered wrapping machine can be availed at market leading rates within a given time frame. Known for our credibility in the market, we are engaged in providing best quality Pallet Stretch Wrapping Machines. 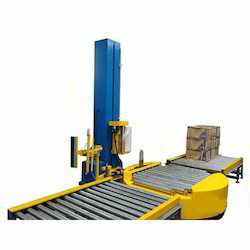 These machines are used for wrapping plastic film around loaded pallet for easy, safe and secure transportation. They are ideal to be used in manufacturing units, factories, and warehouses. It not only saves physical labour but also saves time. Our offered machines are highly efficient. We offer these machines as per our client's requirements at the best possible price. With marvelous specialization in this domain, we offer a qualitative range of Carton Box Stretch Wrapping Machine. The offered wrapping machine is easy to operate, highly durable, consume less energy and require less maintenance. Offered wrapping machine is designed and precision-engineered for their higher performance and durable work life. 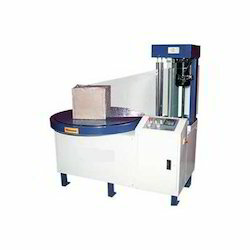 This wrapping machine is available in numerous specifications according to the needs of our clients. Backed by immense industry-experienced, we are engaged in providing a wide range of Box Stretch Wrapping Machine that is used for packing of corrugated boxes, textile yarn on pallets and ceramic products. Offered wrapping machine allows operational flexibility to the user as it is designed and manufactured with the latest technology using bet quality components. 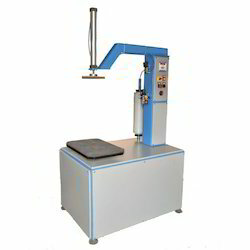 This wrapping machine is tested in terms of quality so as to dispatch a defect free range. 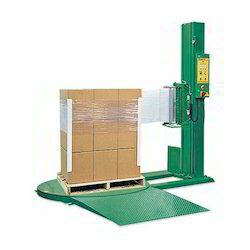 Looking for Pallet Stretch Wrapping Machines ?